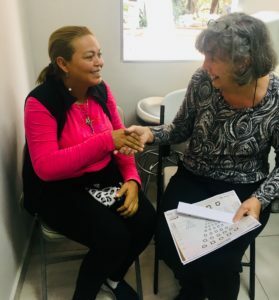 The Baxter Clinic participates in medical missions with groups willing to help in impoverished areas of Honduras. 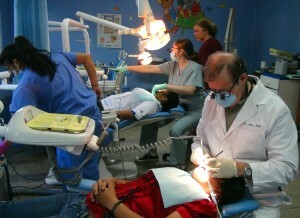 These medical mission efforts can be medical, dental, or both. We work with the local churches of Christ to address the needs of the congregation and the community in general. If a group is interested in carrying out a medical brigade, we help with the local coordination. The Baxter Clinic works with Honduras’ protocol. Doctors or dentists need to send ahead copies of their documents and licenses to get approval from the appropriate medical association. We keep the records of the patients seen during the trip and share epidemiological information with the Health Department so they can act based on this information. Help look for a place in need of medical attention based upon requests of local churches or the health department during epidemics. Work with the local contact in the coordination of the logistics of the trip if the group already has chosen the site. Help with the logistics for the medical mission regarding trying to ensure an adequate location for the brigade, security, schedules, translators, etc. Provide a list and projected budget for the usual needed medicines taken to the sites and the materials that the dental crew will need. This is based on the seasonal diseases and the number of patients that the group is estimating to evaluate. If the group has doctors and dentists, we take their information and documents to the medical associations for their temporary approval to practice. Our staff can join the group as care providers if the group has no medical members. Coordinate with the group the specific type of patients that could be treated, and gather those patients who need to receive that specific medical attention. In this way the patient load for the specialist is guaranteed. Our staff helps out as volunteers not receiving any additional salary for their work. However, donations of the medicines and materials left over after the activity are always appreciated. These are used to help with Baxter Clinic’s daily operations. During the trips we try to cover every area in need: medical, dental, and spiritual. Groups are encouraged to share a VBS or Bible studies with the patients that attend. In this way everyone, whether a medical professional or not, can participate in the mission. We strongly believe that the human being is a whole, both body and spirit. We can evangelize by showing God´s love by taking care of the physical needs as well as the spiritual needs. So help us help those in need by planning a medical mission trip through the Baxter Clinic.